Naturally speaking, children are curious human beings. This means that a computer class with a basic syllabus will spur the curious child’s mind and lead him or her to seek further knowledge. This will mean reading up on the subject further and finding creative ways to utilize the knowledge learned. The end-result is that if that knowledge is channeled in the wrong direction, then the child ends up being a unethical programmer or hacker that gets into places he or she is not supposed to. Trouble comes when the child pays no mind to security features put in place that is meant to protect sensitive information and the child lands on a website or server that they have no business being part of. For example, imagine a child hacking into the FBI database and having access to secret files. When such an incident occurs, imagine how much attention that child will get not to mention the repercussions. Another example is how group of children from Malaysia who managed to code application which could successfully hack Gmail account password using its exploit they detected. They’ve used email hacker (software) for purposes to break inside several Gmail accounts and stole user passwords. 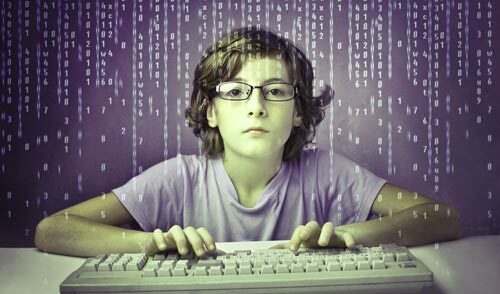 It is important that children should be taught about the difference between ethical and unethical hacking. Once they understand the difference and the consequences they would be able to use their knowledge and skills in the right direction. So, it is important that we work on this to make sure that our young generation use their skills in the constructive way. All in all, much as technology serves a purpose of making today’s living blissful, it also does affect privacy and security for many and use of programming skills should be done responsibly. If you want to read more about this tipic read a PCWorld’s article about kids hackers.